BeeForce is the first community engagement project run in Australia to complement current State and Federal Biosecurity initiatives aimed at protecting Australian honeybees from exotic pests. 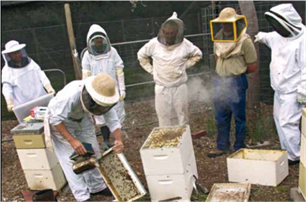 The BeeForce community engagement pilot was designed by a team lead by Dr Sabine Perrone to test the involvement of urban hobbyists in a passive surveillance program for one of the most important threats to Australian honey bees: the Varroa mites. The pilot has shown the potential to bridge the divide between government, industry and the community sectors. Most importantly, programs such as BeeForce increase community awareness, improve Australia’s preparedness for new pest incursions and invasions, speed up responses and mobilise community vigilance in early detection for a more effective pest detection and control. This pilot was part of the Pollination Program – a jointly funded partnership with the Rural Industries Research and Development Corporation (RIRDC), Horticulture Australia Limited (HAL) and the Australian Government Department of Agriculture, Fisheries and Forestry (DAFF) and Department of Environment and Primary Industries (DEPI). Our in house biosecurity expert can support you through a consultative and customised process to address your specific business needs. Sabine is an internationally renowned biosecurity expert specialising in food sovereignty, urban agriculture, biosecurity, sustainable food production and assists food producers in ensuring their processes are compliant to international standards. She has over 15 years experience working in Biosecurity including plant and animal. 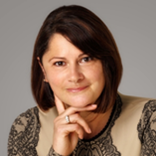 She has worked for DPI Victoria (Department of Primary Industries Victoria) as the Centre Manager at Knoxfield Research Centre and Portfolio Manager for the Bio-protection Platform within the Biosciences Division. Sabine did her PhD in plant pathology at the University of Melbourne & has several post docs overseas as well. Sabine is a beekeeper, advocate for the urban agriculture movement, conservation of heirloom species, varieties and cultivars. BSASP builds solution teams from a secure network of experts and advisors. We focus on productive success by combining expertise and diverse perspectives to solve challenges.